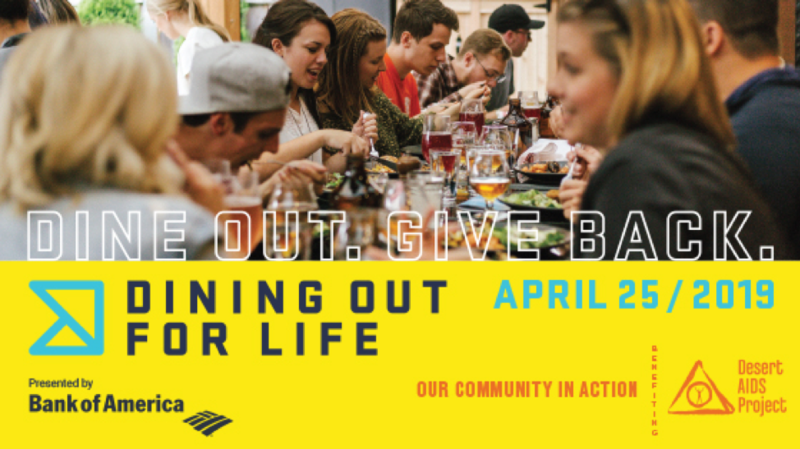 Make your dinner reservations today for April 25th, 2019 and make one meal matter! When you dine with us for dinner we will give back! Greater Palm Springs is making plans to eat breakfast, lunch or dinner at one of more than 70 restaurants participating in this year’s Dining Out For Life event. On Thursday, April 25, Grand Central Palm Springs will donate 33% when you dine that day supporting Desert AIDS Project’s mission to enhance and promote the health and well-being of our community. Mark your calendar and make your reservations today!